Fibreworks will close April 19th at 12:30 pm EST in honor of Easter. Create natural fiber rugs that reflect your unique style. Choose from our perfect assortment of fibers and textures ranging from sisal, to seagrass, jute and wool. Shop the Fibreworks Outlet where you will find drastically reduced prices on select products. All Outlet Sales Final. Create and preview rug designs from our large selection of rug fields and borders. Fibreworks® offers Natural Fiber Floor Covering as broadloom carpet or custom bordered area rugs. The natural beauty of rugs and carpet is enhanced by their environmental friendliness; natural fibers- Grown by…Sustained in…and Biodegrades with…Nature! Our wide variety of floor coverings and rugs are made from the finest natural fibers such as Sisal, Wool, Seagrass, Jute, Cheena®, and Coir. Custom rugs are available by choosing from a wide range of natural carpet styles and rug borders, plus we accept customers’ own material (COM). 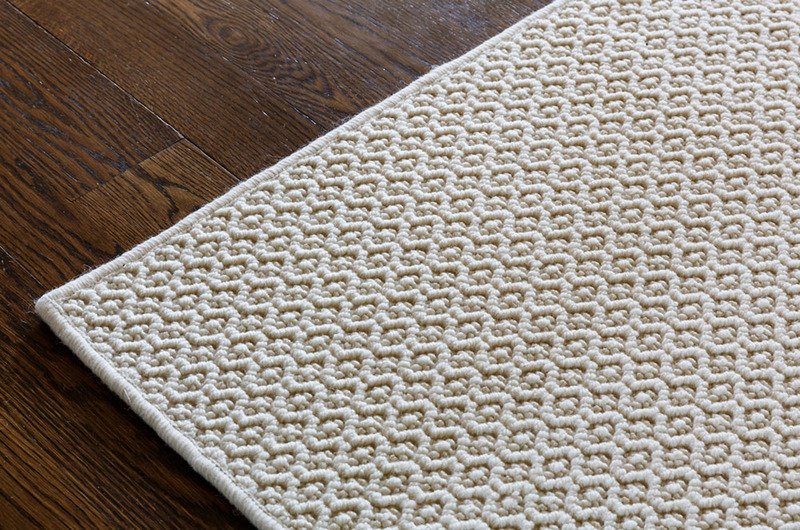 Rugs can be produced in most any shape or size, and borders can be applied in any of 10 different application techniques. The options to make a truly custom bordered natural fiber area rug are literally infinite.